In my opinion, this is the strongest of all Twilight Singers albums. I love the first record, but I think this is the one on which it all comes together. 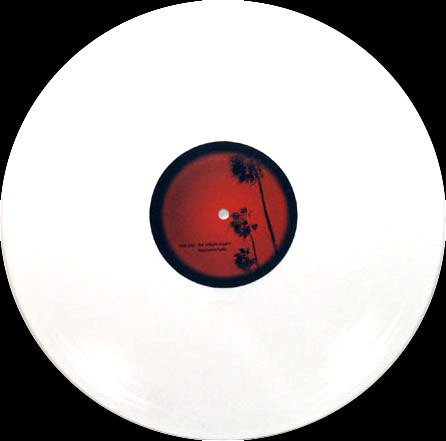 This is also where Mark Lanegan began to show up on Twilight Singers releases, with a solid appearance on the album's last track, "Number Nine." The vinyl came out much later. It contained a bonus track, the demo of "Run Rabbit Run," a song that had made occasional appearances during the Afghan Whigs' final tour. All copies were on white vinyl. Fans were not immediately sold on the vinyl version, and its value did not rise at all for a few years. It began to get slightly more scarce and appreciated slightly over a few-year period. Then, out of nowhere, it took off and is now one of the most expensive Dulli-related pieces of vinyl one can buy.